How do I create an admin login on WordPress? If you run into an issue that requires us to log into your site to troubleshoot, you can set up a separate set of admin login credentials through WordPress for us to use! That way, you won't have to provide us with your personal username and password. In your WordPress dashboard, go to Users → Add new. Then, fill out the form on the next page. 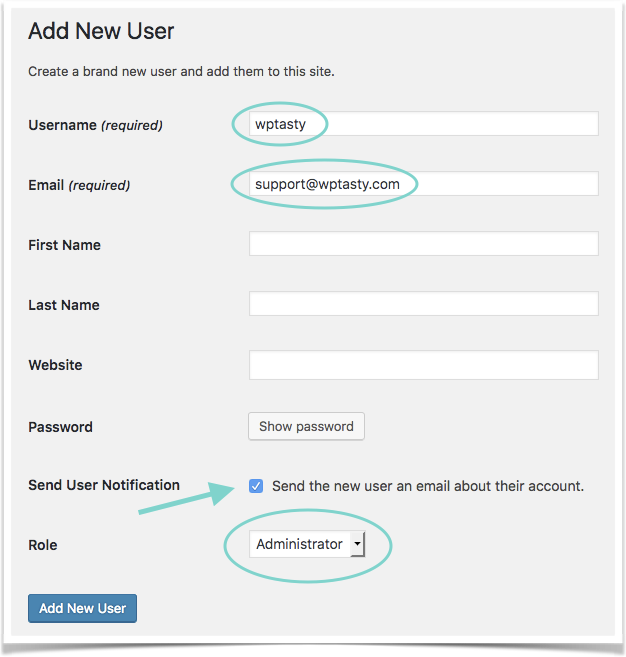 Use "wptasty" for the username, [email protected] for the email address, set the Role to Administrator, and make sure the "Send User Notification" box is checked. That will send us an email with the login details we need.